If you live in Hong Kong long enough, you will realize that after you fit your bed in your room, you may not have enough space for everything else. In fact you might be dealt with only 12″ to 18″ aisles next to your bed. No, we aren’t joking! Luckily having lived here for a long time, we’ve come up with 5 extra storage ideas for your small bedroom. We’ve written about the hydraulic lift bed before. The added floor space underneath is good to store away linen and seasonal clothing. Another great thing about hydraulic lift beds is that they are a lot more affordable compared to 3-5 years ago. 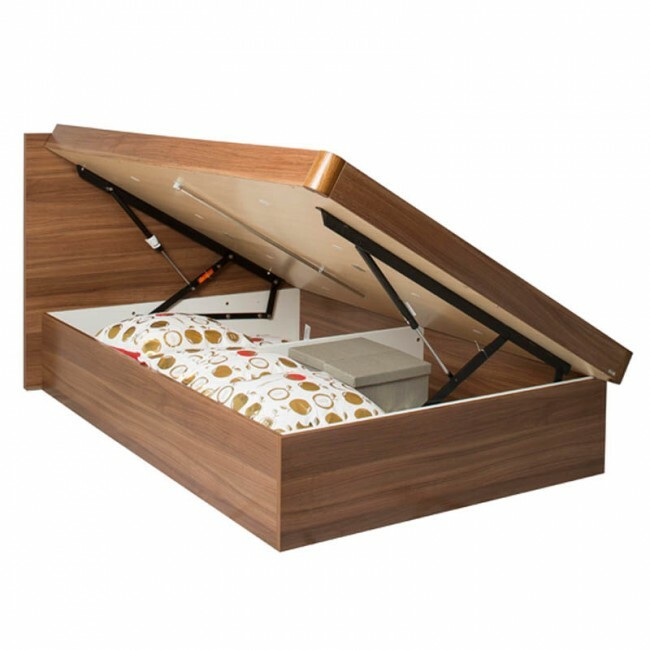 If you thought of drawers underneath, we don’t recommend it because you might not be able to pull them out easily. Don’t forget to vaccuum bag your seasonal items too! Extra compression, extra space! 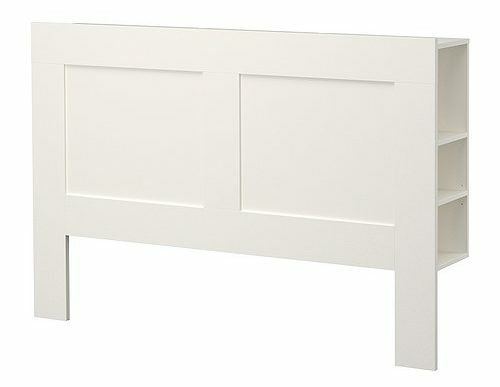 You seriously might not be able to find a side table small enough for your bedroom. So what solution do you have? Look behind you! Once again, make sure you can access your items (i.e. phones, iPads, glasses) either from the top or from the side of the headboard. Go check out Pricerite or Ikea for some clever ideas. If you still want a side table of some sort, attach a 3-4 tension rods horizontally from the side of the bed frame closest to the headboard and to the wall next to you. Add a piece of acrylic sheet (Aeon would have some), cut it to the right size and place it on top. Just by doing this you’ve created a simple DIY side table. If you don’t want to do this, go and order an Urban Shelf, which we are big fans of! These systems are flexible and detachable. On top of that a lot of these systems are possible through a vertical tension rod system without the help of screws. We’ve seen this in PriceRite and are good solutions because they maximize vertical space. Be advised that although strong, they do feel a bit flimsy. So what does this mean, be mindful with the number of items you want to hang. Also you better be an organized person, otherwise your small bedroom will feel cluttered. 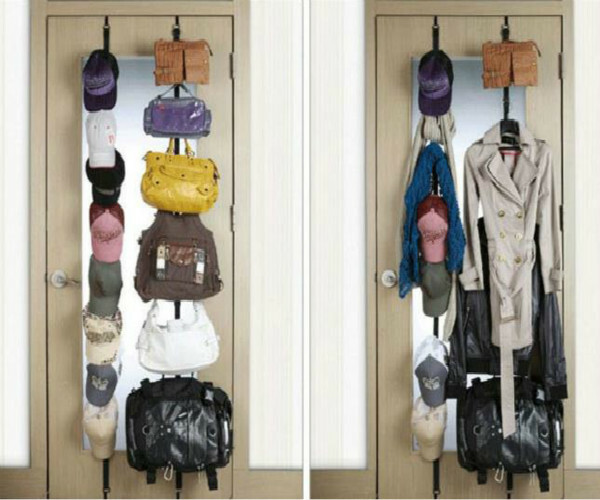 We advise you to opt for a curtain option to hide clutter! Nothing groundbreaking here, just super practical. Whether you opt for door hooks, door ribbons, or even a behind the door storage mirror, all these options will help give you extra places to store things.